Divergent Chill: Fall of Night on Sale and the Online Book Club’s Book of the Day!!! Divergent Chill: Fall of Night is on sale for $0.99 on Kindle to celebrate its 1-year anniversary. Also marking the occasion is that it will be the Online Book Club’s Book of the Day for Jun. 19. So, if you ever wanted to check it out, either on its own or as a continuation of the series, now’s the time! Divergent Chill: Battle of Nesma was the Book of the Day!!! Divergent Chill: Battle of Nesma was the Online Book Club’s Book of the Day on Friday! I would have posted about it on my site sooner than this, but I was too busy keeping up with all the tweets, retweets, likes, follows, etc. on my Twitter, @DivergentZen. As of the time of this post, the initial tweet from @TWBookClub about my book being the BotD received 144 retweets and 101 likes from various members in the OBC community and beyond. I can’t say, really, what effect this has had on sales, as Divergent Chill: Battle of Nesma is offered free on Kindle Unlimited, where I’m compensated for each normalized page read, and overseas sales can take time to process. But, I’m hopeful I’ve intrigued a lot of new readers and possibly picked up some future fans. It’s also worth noting that people were universally complimentary of the book’s cover, created by David Williams and Jerry Shaffer. 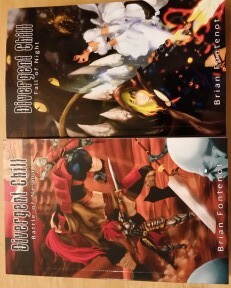 Next up, Bargain Book Reviews is scheduled to review Divergent Chill: Battle of Nesma on July 18. That date may change, however. So, we’ll see. Divergent Chill: Battle of Nesma and Divergent Chill: Fall of Night are both still on sale, but won’t be for much longer. Get them this week is my advice. And I just want to say thanks, again, to Scott Hughes and the Online Book Club community for the support they’ve shown my book for the Book of the Day. Maybe Divergent Chill: Fall of Night will have it’s “day,” too. 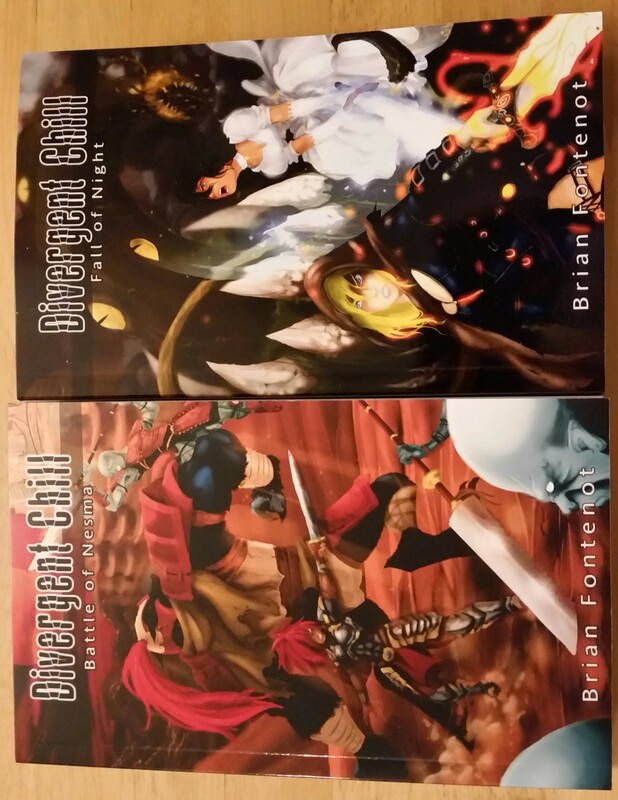 Divergent Chill: Battle of Nesma and Divergent Chill: Fall of Night on Sale This Month!!! Divergent Chill: Battle of Nesma and Divergent Chill: Fall of Night are both on sale for the rest of April and possibly a little longer! You can pick up Battle of Nesma for just $0.99 and Fall of Night for just $2.99! Divergent Chill: Fall of Night Online Book Club Review!! !